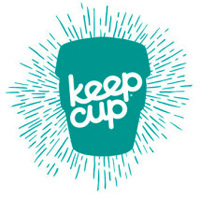 KeepCup was born in 2002 by a brother and sister in Melbourne who realised from their time in the cafe business just how much waste was produced from disposable cups. Examining all the possibilities they came up with the concept of their attractive designs which have been exported and sold now in 32 countries around the world, a true Australian success story! Realising that people will only use something if it is better than the alternatives on every level, KeepCup now make many different styles and designs. Sustainability is the major concern with this business, with thousands of disposable cups (which are lined with plastic so not actually recyclable as people assume) ending up in landfill every year in our coffee obsessed culture. 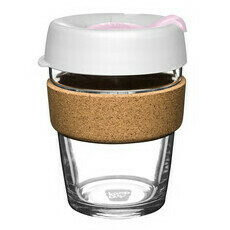 Over 15 years later KeepCups are still made in the city which is kind of their spiritual home - Melbourne. 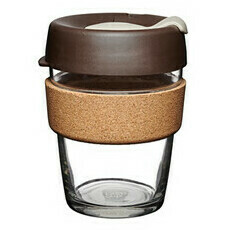 KeepCup say "We think of ourselves as a campaign supported by a product, where the best reusable is the one you use. A movement happens when people talk to one another, when ideas spread within the community, and most of all, when peer support leads people to do what they always knew was the right thing." We of course therefore know KeepCup is a natural fit for Nourished Life and we absolutely adore the double walled glass and cork design.